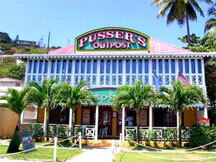 The good news is that the best Tortola restaurants are scattered all across the island. So you shouldn't have to travel all that far in search of a mouth-watering meal. There aren't that many upscale fine dining options, but what Tortola lacks in sophistication, they more than make up for in wonderful authentic cuisine. One of the aspects I like best about the Tortola restaurants is that a majority of eateries are open air. By that I mean that they usually only have a roof but are lacking walls. This is due to the fact that most of the dining establishments overlook the Caribbean, which always adds to the experience. On last count Tortola has somewhere around 100 local eateries, not to mention some popular beach shacks where food is readily available. Since the island is only about 22 square miles wide that means a tasty treat can be found right over the next hill. Restaurant prices here run the gamut. Tortola is much like the rest of the world, in that there are some fantastic food options for rock-bottom prices. There are other fine dining establishments where you can spend $50 or more just on yourself. I would say that island prices are slightly higher than that in the states, but most everything that is consumed here is shipped in from around the world. Tortola's bars, cafes, and restaurants are a bit different from those in the states. Here's a list of some of the differences that might surprise you. Realize that you came to Tortola to get on island time, your server no doubt is on island time as well. Expect to get a little limin' time in before the main course. Water isn't served unless requested. There isn't nearly the same amount of readily available drinking water as in the states or in Europe. Where I'm from if a restaurant only has a few guests, that usually means it's bad. That's not the case here, Tortola doesn't have that many people on the island, which means that some of the better places to eat will sometimes be empty. Produce can be scarce, so don't freak out if that bowl of fruit you ordered isn't quite as big as yesterdays. The restaurant is probably trying to make due until the next shipment arrives in Road Town. I've decided to give you a break down some of the more popular places to eat by price. These lists don't include every Tortola restaurant, but they do include the highlights! If we're going to talk about highlights, then let me introduce you to the fine dining guide. If your more of the salt-of-the-earth type, make an effort to try out the whole cheap restaurants list. These two dining guides should give you a better idea of what tastes go with which place. After you take a look of these reviews feel free to steal any of my suggestions and act like they are you're own. That's always a fun way to impress your partner. Don't forget that your on vacation, which means that you have a free pass to enjoy all the foods that you may shy away from when you're at home. Sure the foods may be cooked a little different, they may even be something exotic that you've never tasted before. 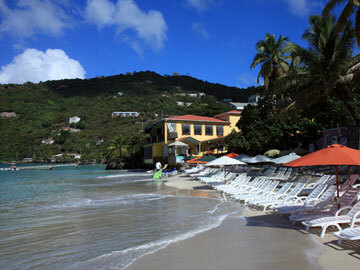 That's just part of the wonderful experience you'll have vacationing here on Tortola.